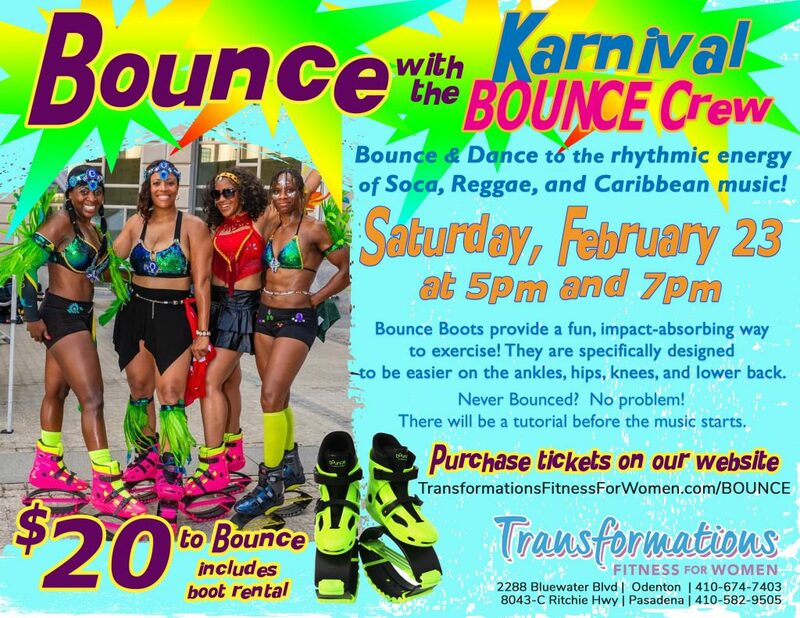 What: A BOUNCE event set to the energizing vibe of Soca, Reggae and Caribbean Music lead by the Karnival Bounce Crew! Please arrive 20 minutes in advance of your session for boot fitting. 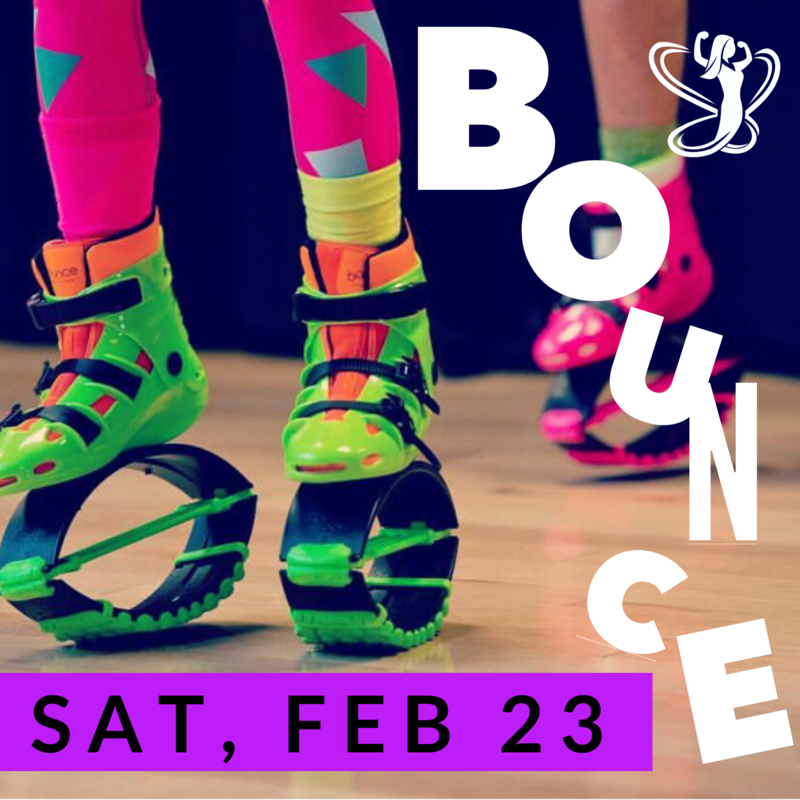 Though advanced ticket sales are closed, there are still spaces available for the 7pm sessions in Odenton. Remaining tickets will be sold at the door beginning at 6:30pm. Cost is $20 per person. Sign up below to start your risk free trial. This includes all classes, equipment and childcare service. Transformations Fitness for Women is committed to providing a fun, inviting place for women to get – and stay – healthy. Regardless of age or fitness level, we have something for every woman, offering the best in group fitness classes in addition to other personalized services. © 2019 Transformations Fitness For Women. A Gym Designed For Women in Odenton & Pasadena Maryland.